As the economy turns around, up to 84% of employees across the US have said they are looking at the possibility of changing jobs. We all know the numbers on employee turnover and the impact it has on the bottom line. So what's our alternative? Retention. Keep the good people around (not by force, hopefully) and keep them on our team. That's where the free eBook titled "Where do you think you're going? 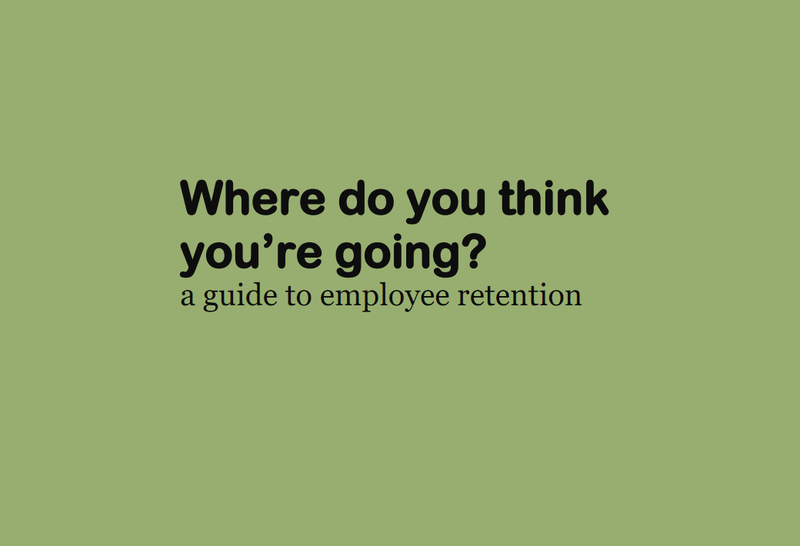 A guide to employee retention" comes in. It's full of strategies and ideas for how to retain your best employees in turbulent economic times. Contributors include: Tim Sackett, Heather Vogel, Benjamin McCall, Chris Ferdinandi, Paul Hebert, Laura Schroeder, Dave Ryan, Keith McIlvaine, Robin Schooling, and Stuart at 1.00 FTE. You can find links to each of these contributors' websites within the guide.